Ash, a born and bred Southlander, has worked in New Zealand’s rural sector since 1999 including 11 years of rural banking. During this time he learnt the value of understanding his strengths, leveraging the strengths of others, and the influence of various leadership styles. Outside work, Ash has a young family and enjoys spending time with them in the outdoors. He enjoys most sports, and trying to stay fit when time permits. TetraMap is a tool that any leader or group can use to enhance their understanding of those that they interact with. By growing that understanding you begin to see what you can do to improve as a leader and how to get the maximum from your day-to-day relationships. 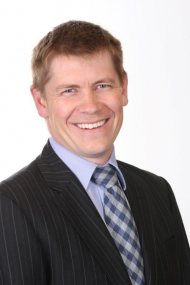 Ash is available to groups, teams or businesses as an external TetraMap facilitator, and his role sees him travel extensively throughout the lower South Island and further as required. Our team had the best time doing the Tetramap training. Thanks to Ashley Burdon who facilitated an excellent afternoon, our team have a better understanding on communication between each of our teams and with customers. I would highly recommend this to others; the training also provided great team building with loads of laughter and fun!